When it comes to training to maintain our certification, we Tactical Medics and Officers face a couple of problems. First, it can be hard to get into the necessary training classes. Second, there is the issue of time. As a Tactical Medic/ Deputy with my local Sheriff’s Dept, I’m required to take 30 hours a year in training. In addition, I work full time for my county Ambulance Service. For the ambulance service, we have to maintain ACLS, CPR, PALS, PHTLS, EVOC w/ VKF, etc. It seems that there aren’t really enough hours in the year. Now, let’s factor in National Registry. While I, like several other Medics, have mixed feelings about National Registry, it is worth the certification because of interstate reciprocity. I recently had the experience of renewing my National Registry. I needed to dedicate 40 hours to the refresher class. I have seen refreshers on line, at Universities and a couple of other options. The one I took went through a College. Their requirement was to come and do a full day of skills. This was a lot better than trying to get caught up on the newer trends and skills on line. Almost all medics are more hands-on learners. The National Registry of Emergency Medical Technicians site had a great selection of classes, with trainers all over the United States. Some of the classes actually transfer over to being POST certified. I highly recommend the Tactical Medic Class. I took the 24 hour class last year and was highly impressed with the class and information. That class is POST certified. NREMT.org also offers several other classes on the EMT-IV/ Paramedic side of things. If you are set on getting your certification as a Tactical Medic, I suggest that you check out the International School of Tactical Medicine at this website. Last year I took their introduction 8-hour class in Knoxville, TN. In my opinion ISTM is the absolute gold standard when it comes to tactical medicine. We covered a lot of information, with a huge hands-on portion. Then we incorporated procedures in the field and firearms. ISTM also offers a 2-week class, which I have not had the chance to take. But I am looking forward to it very soon. First responders access this site for their Independent Study 100, 200, 700, and 800 courses. If you have the free time, browse the training websites offered through FEMA.org. There are tons of different classes and options. The added bonus is that you can do them at your pace and leisure. Also, a lot of the classes are POST certified. Finally, the transcripts look great on a resume. Public Authority Training Council is a fantastic resource, especially for law enforcement, with tons of classes all over the United States. Also, there are webinars and lectures. All of their classes are POST certified. Here are some other websites to check out for Law enforcement. Here are some other websites to check out for Medical personnel. I will have more updates and information to share very soon. As always, be safe! D. Todd Spence has been a First Responder for 16 years. He has held positions in multiple departments. He is currently a paramedic with the Sevier County (TN) Ambulance Service, where he was recently promoted to Field Training Officer. Todd is also acting Assistant Chief for the Sevier County Rescue Squad, and Director of the K-9 Search and Rescue Team with K-9 "Trudy." 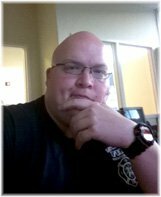 He also works part time as a paramedic with the Gatlinburg Fire Department and a part-time paramedic and communications specialist with the Sevier County Emergency Management Agency. Other part-time duties include Reserve Deputy, Paramedic and Negotiator for the Special Operations Response Team with the Sevier County Sheriff’s Department. You can contact Todd at tspence@seviercountytn.org.